There are currently 3,447 users on this website. I've been tinkering with the solution PostmasterGS designed using MS Publisher and Access to crank out album pages. I have to say, if you to have descriptoins on your album pages, his solution is absolutely awesome and saved me a TON of time. 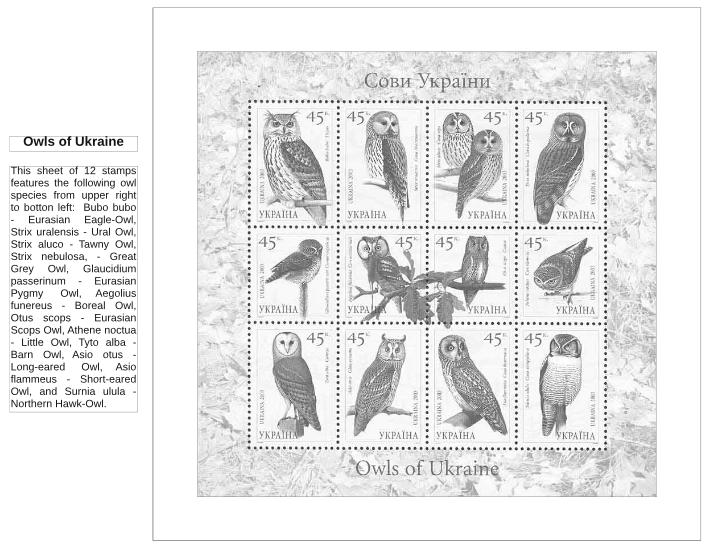 But my Tryzub Ukrainian Stamp Album is designed in Scribus, and I didn't want to redo everything in MS Publisher..
Then I learned that Scribus was scriptable! 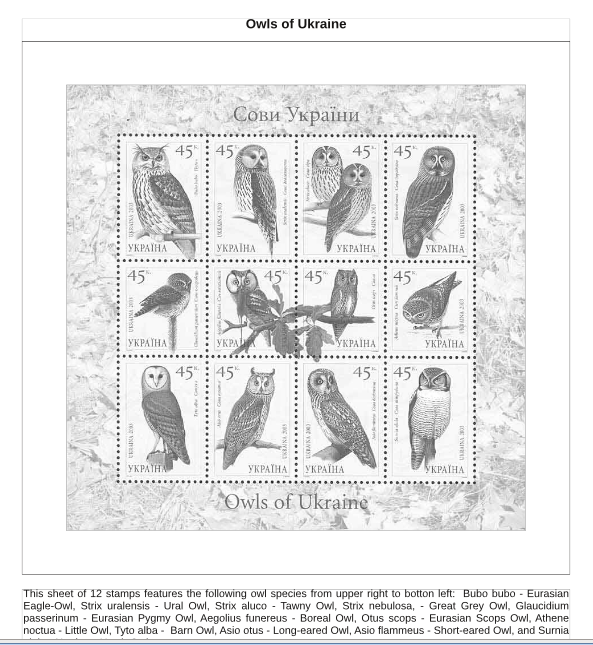 The most time consuming part for me is to get the box set up, with the image inside, the title on top and the description in the bottom, and make sure the distance between the title, the description, and the stamp box is the same between all the stamp layouts. So, I created a REALLY CRUDE script to do that part for me. Scribus' scripting engine is Python, which I had some familiarity with. I decided to use an XML file for storing the stamp data. 2. It automatically generates the frame with the stamp image inside, along with the title, first day of issue and description, lines them up consistently and groups them to easy moving. Right now the script dumps all the grouped stamp layouts on top of each other on one page and you need to move them around and lay them out the way you want. There's no GUI for the settings. You need to edit the script and change it yourself. I added comments to the script to hopefully tell what to do. 4. 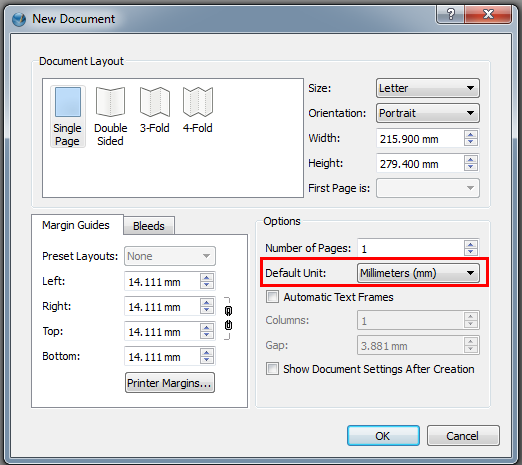 Load Scribus and make a new document and make sure that the page is set to use MILIMETERS. 5. 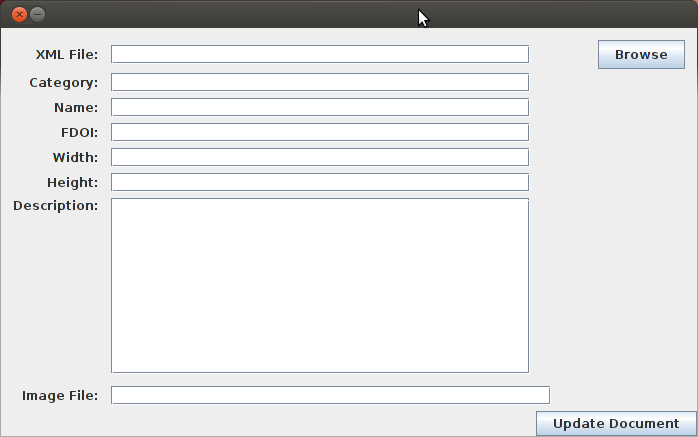 Go to Script->Execute Script and browse to the script file stampalbum2.py. Click on the script and click OK.
6. You should now have 4 stamps with descriptions on the page waiting to be moved. 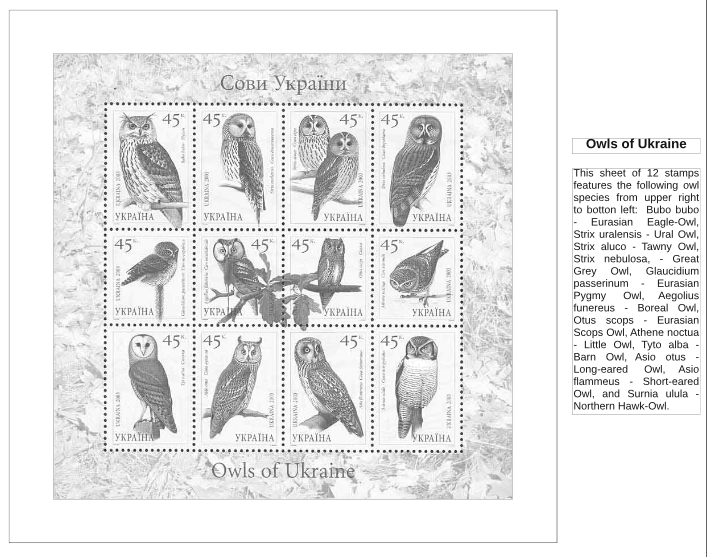 You can edit the 2012_Stamps.xml file to add more stamps, if you want to. So, I haven't done much with the script, but I got fed up with manually editing the XML file, so a friend of mine created a quick and dirty Java front end to add to the XML file that contains the stamp data. When you click on Update Document it does not automatically clear the form. The old stamp data will still be there. You just need to clear it yourself. I should have an update to fix that shortly. My script uses a file to pull stamp info from. The file is in a format called XML. The tags are the things inside the < >. For the XML file, you click on Browse and browse to the file that has your stamp data in it. You fill out the rest of the form, and click on Update Document and it adds the stamp to your file. The next time you run the script in Scribus it will make a box on the page for you to mount the stamp with a title and description. Made two new scripts. 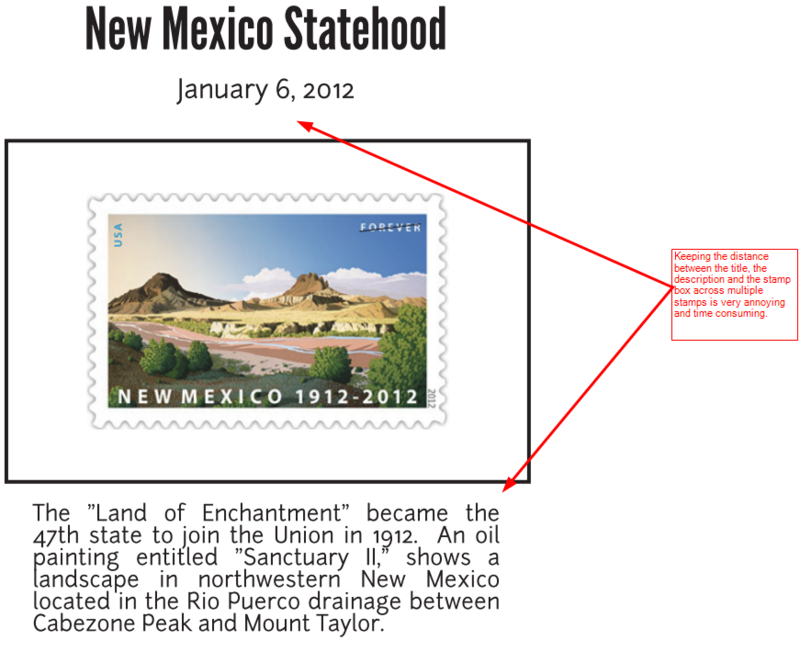 It takes the stamp layout and moves the title and description to the right or left. If you would prefer the title and description on the left, there's another small script which will automagically do this"
I'll post the scripts later on tonight in case someone might actually use it. I haven't used this script in a while. I am using PostmasterGS' solution instead. Damn Python and it's indentation errors! I'll take a peek at it later tonight if I have time. It works with Scribus and LibreOffice/OpenOffice. I'm glad someone had a solution for you!